WASHINGTON–(BUSINESS WIRE)–If you live in dry climates, wildfires can strike without warning, causing major damage to your property and possessions. 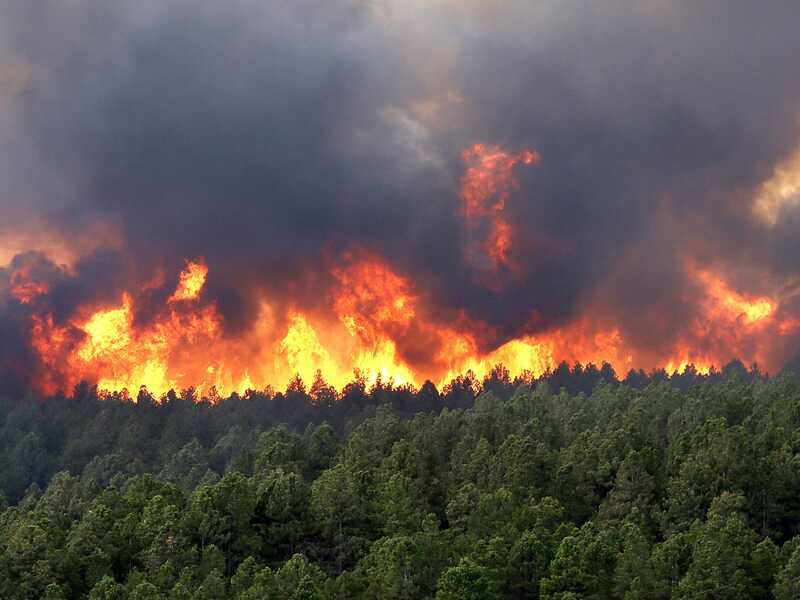 The National Interagency Fire Center recently forecasted that the West and Southwest states including Alaska and Hawaii face an elevated wildfire risk this summer. Create a defensible space. Defensible space is an area surrounding your property that serves to reduce the threat of an oncoming wildfire. Within the space, remove all flammable vegetation, trim shrubs and trees, and clear dead foliage that can catch fire quickly. Fireproof your home. Try to invest in non-combustible or fire resistant building materials, such as slate, tile, sheet iron, aluminum, brick or stone, for constructing roofs, fences and other exterior structures in your home. Update your vent covers. Cover exterior attic vents with metal wire mesh no larger than 1/8 inch to prevent embers and hot gases from entering your home. Have handy tools available. A ladder, rake, axe, handsaw, chainsaw, bucket and shovel are great fire tools to have at your disposal. Keep these items in your home at all times. Develop an emergency plan. Plan several escape routes away from your neighborhood. Designate a meeting place for family members away from your home. Create your emergency kit. Restock your emergency kit, including important documents, prescriptions, IDs, flashlights, batteries and first aid supplies. Follow the forecast. Stay tuned in to phone alerts, TV or radio for weather updates and evacuation orders. Familiarize yourself with local emergency plans. Call your insurance carrier. Review your homeowner and vehicle insurance policies to ensure that you have adequate coverage. Also, update your home inventory list and photograph the inside and outside of your home. For more information on how to protect your family, home and vehicle from severe weather, visit GEICO’s Catastrophe Center. GEICO policyholders who need to report a loss can log on to the new mobile app, GEICO’s Claims Center, or call (800) 841-3000 24 hours a day.